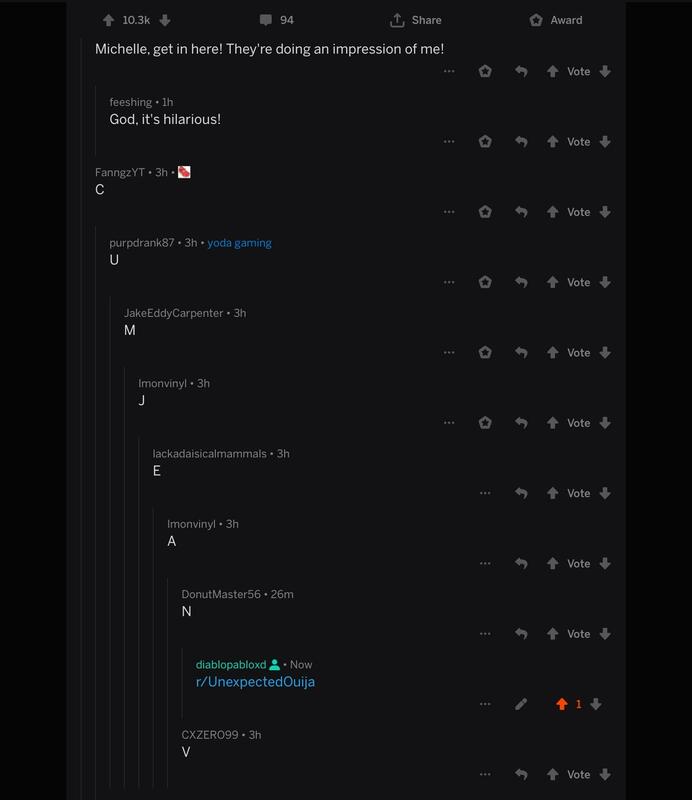 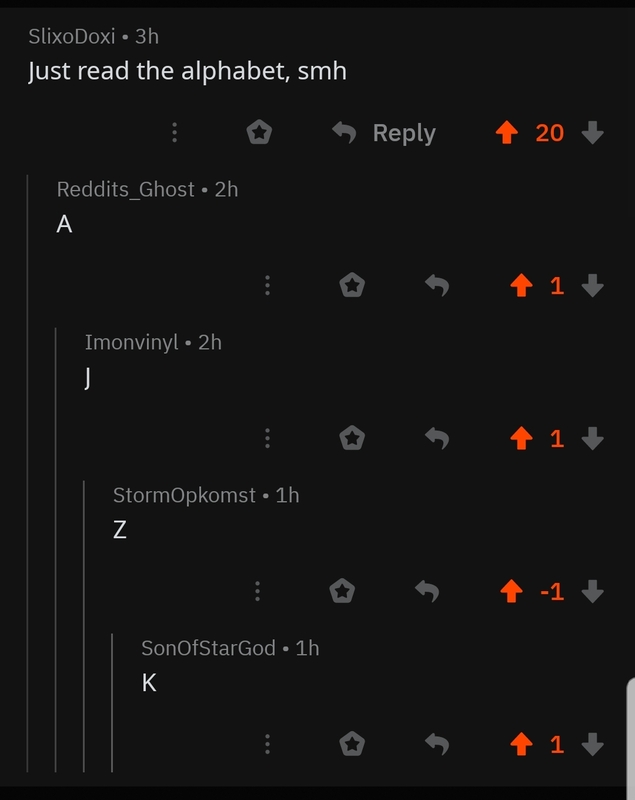 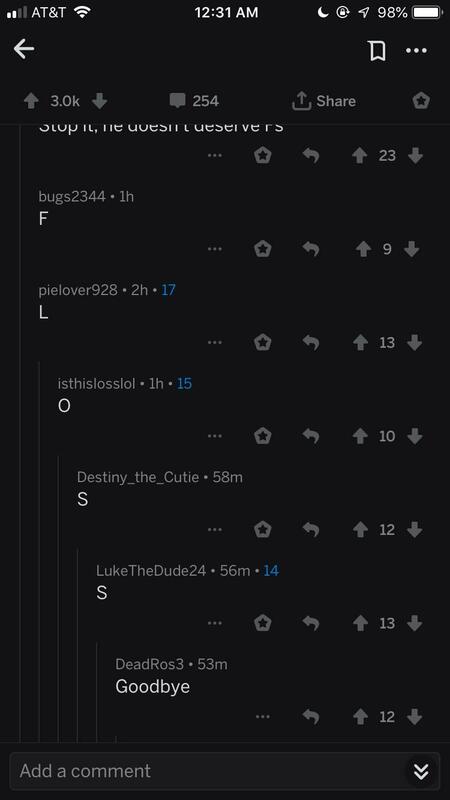 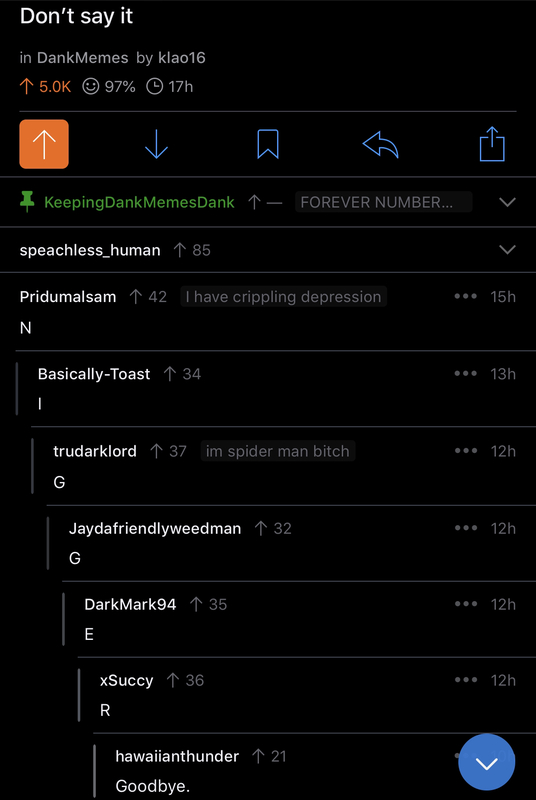 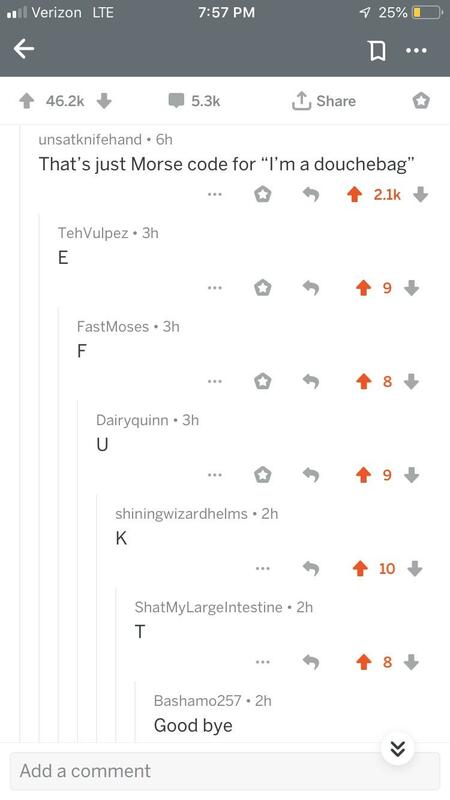 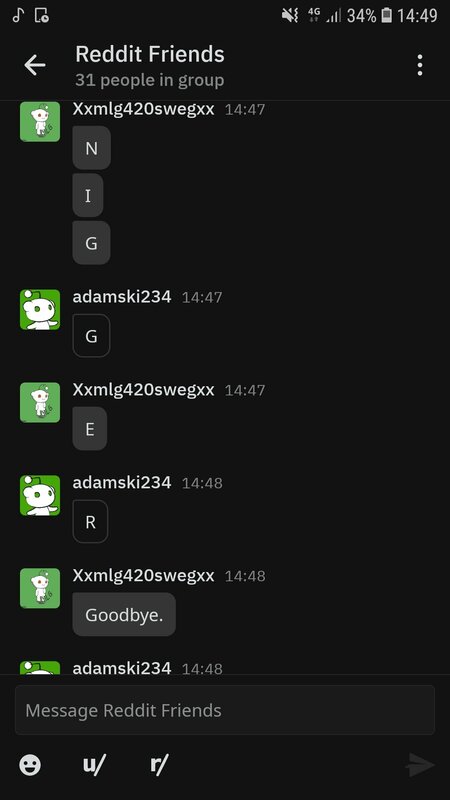 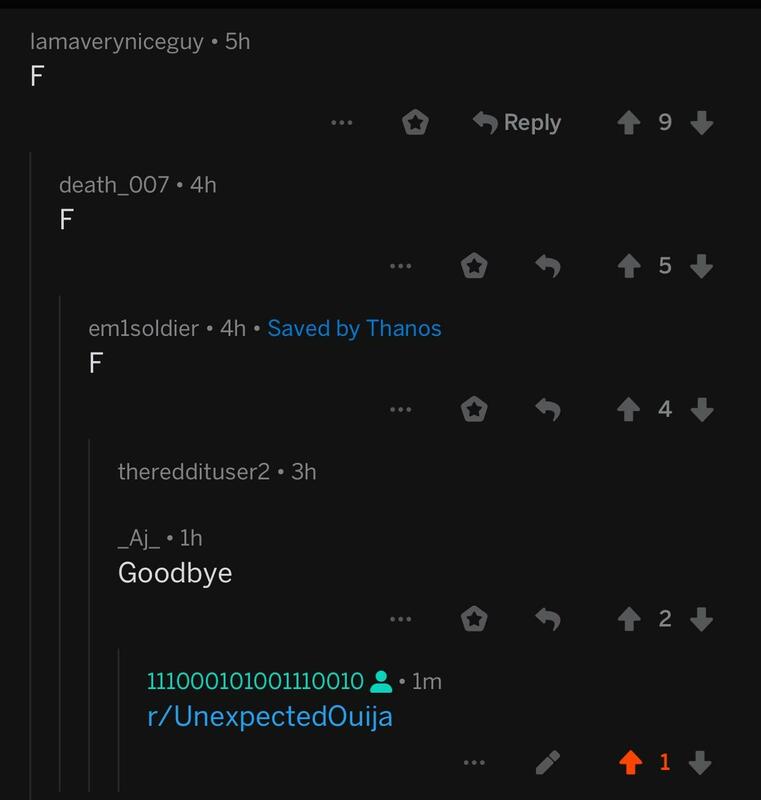 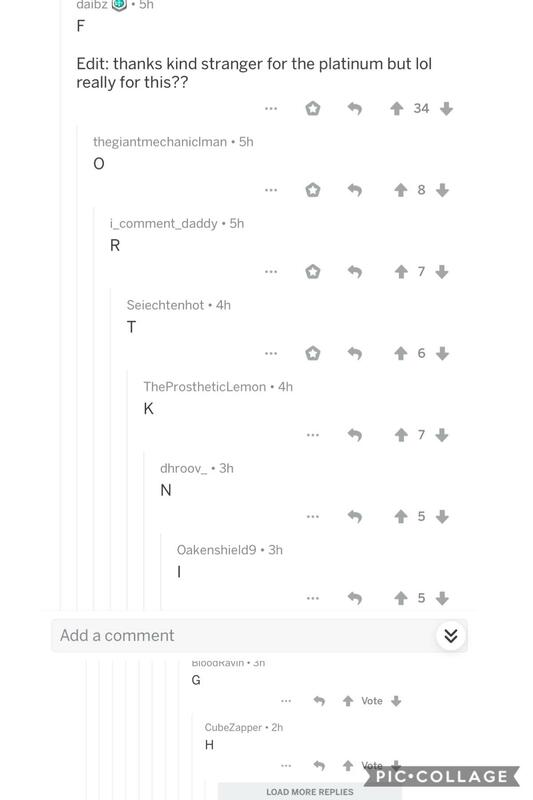 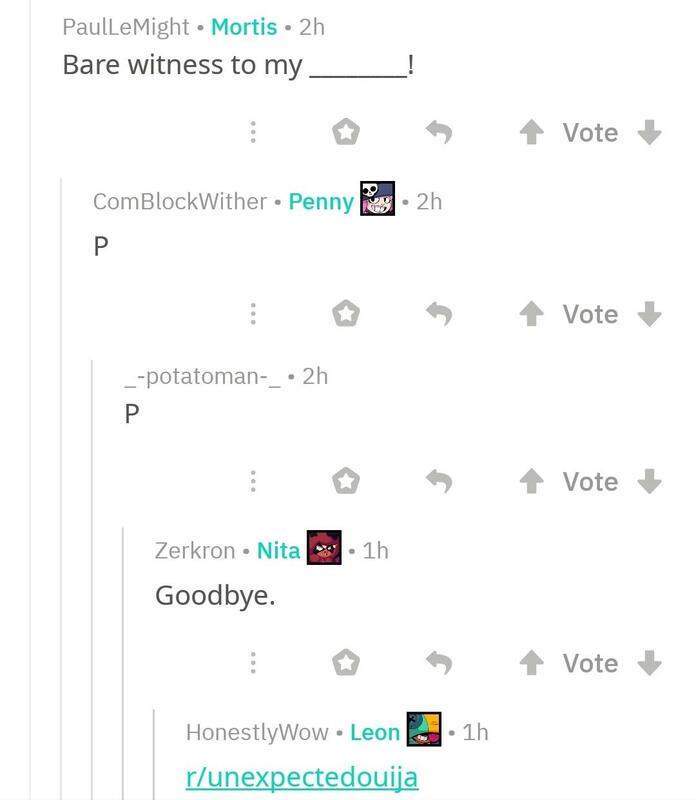 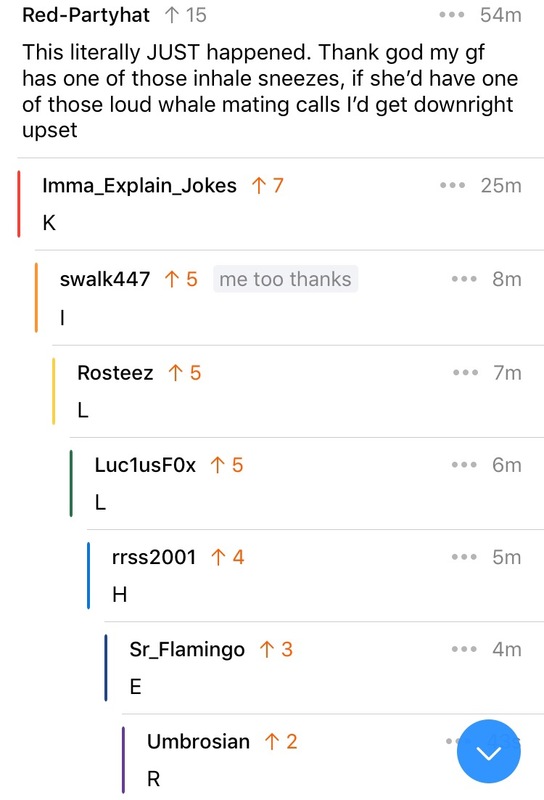 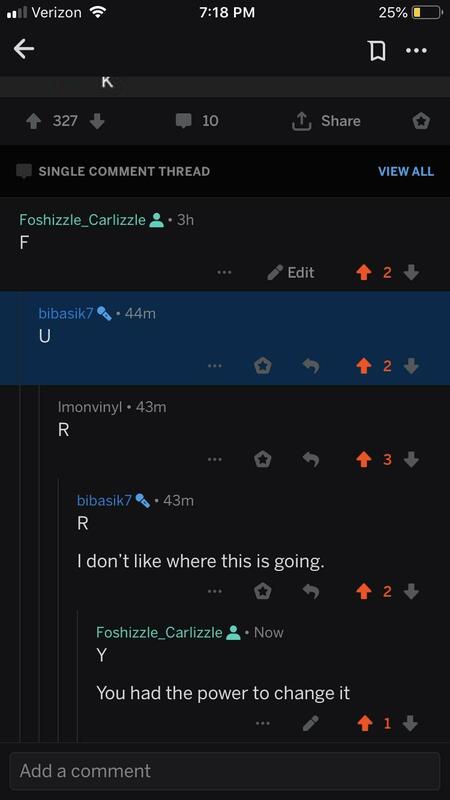 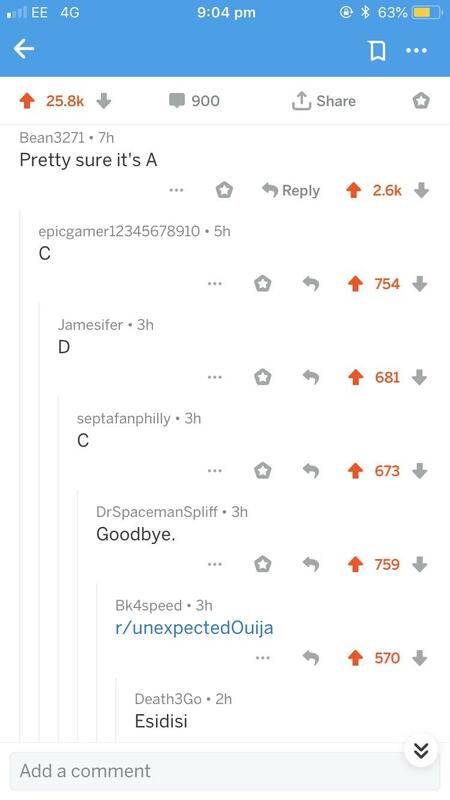 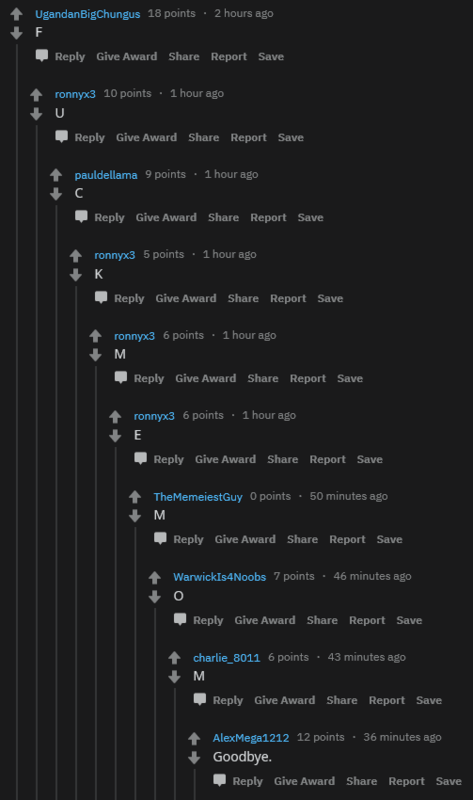 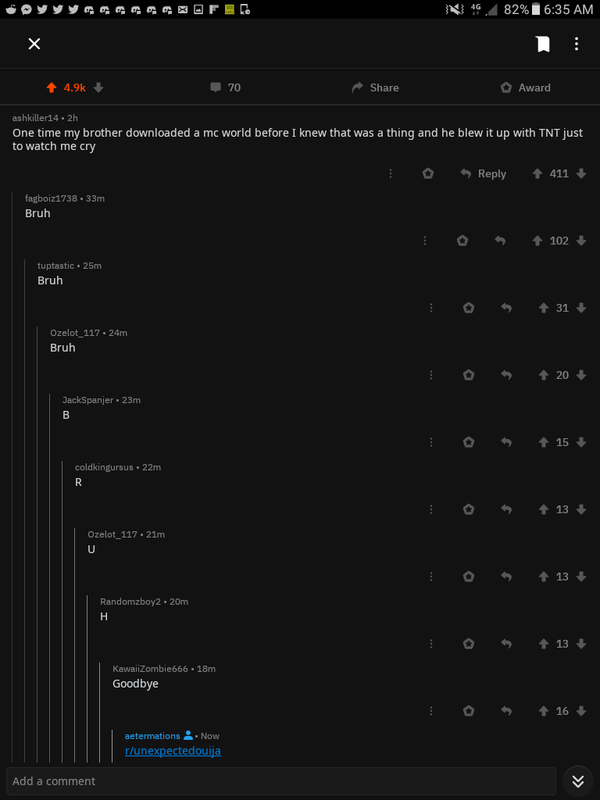 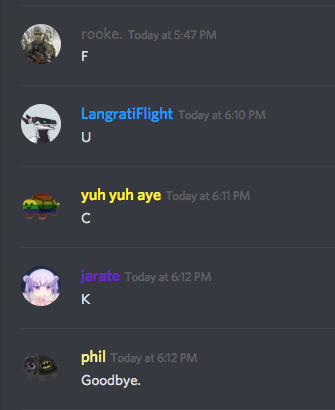 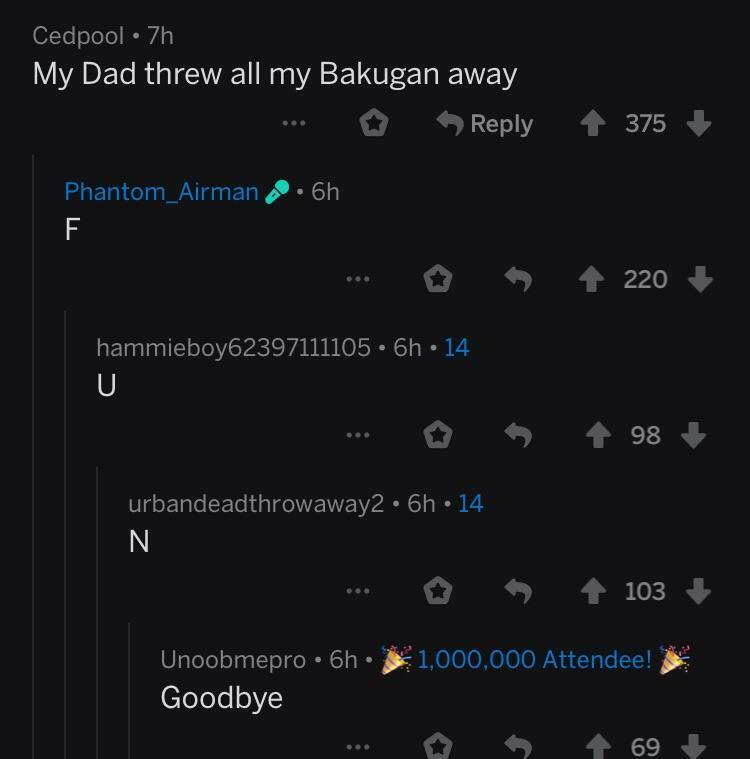 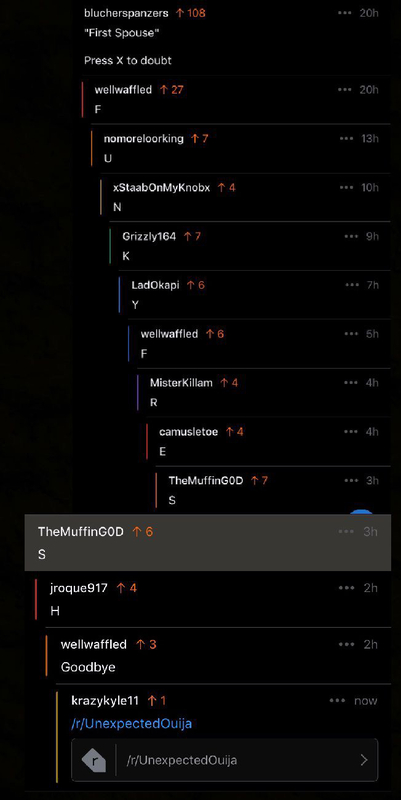 Using F for Ouija isn't unexpected anymore. 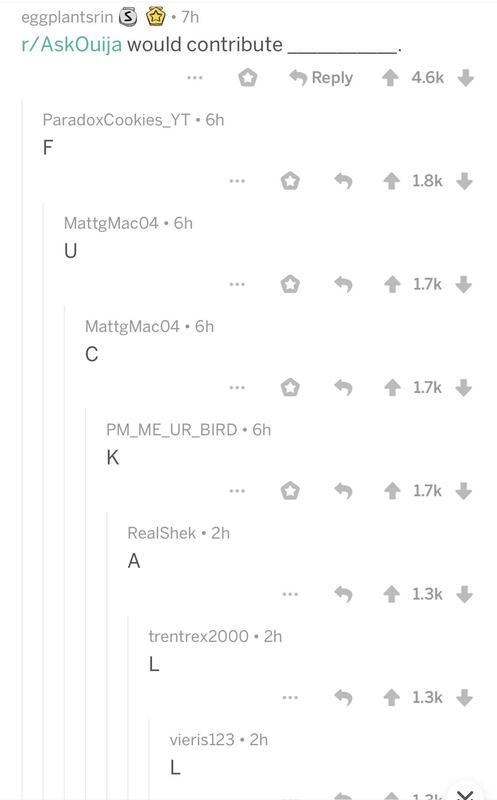 Found in r/AskReddit. 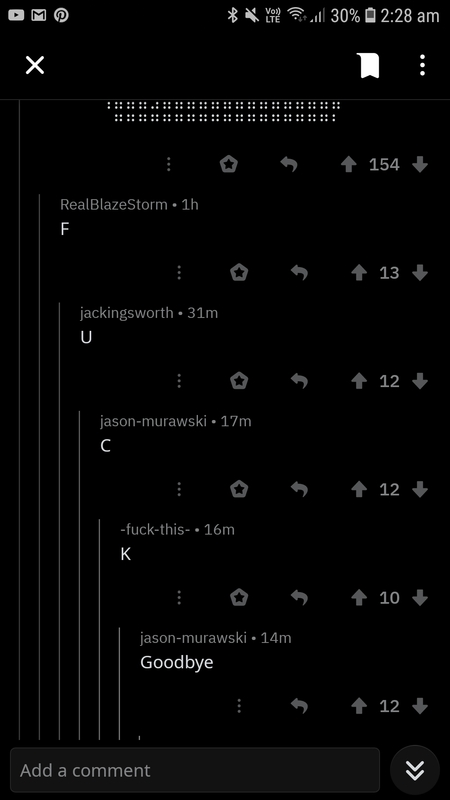 Came up after someone asked what each big subreddit would contribute if Reddit went to war. 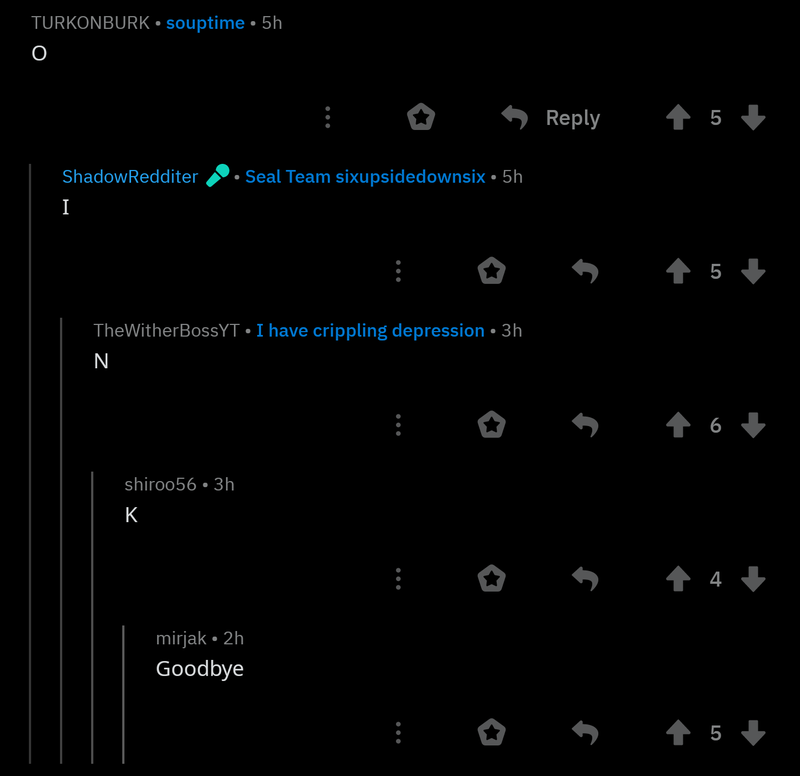 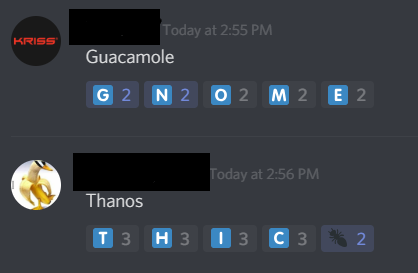 The way this lined up was unexpected, yet totally expected. 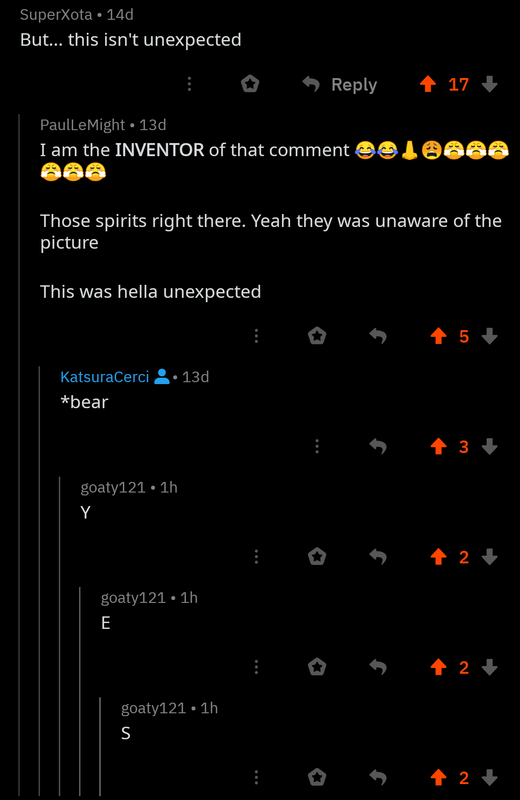 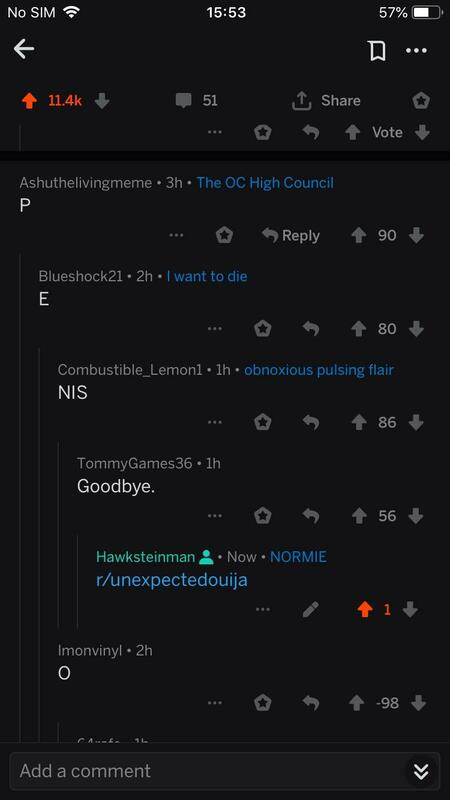 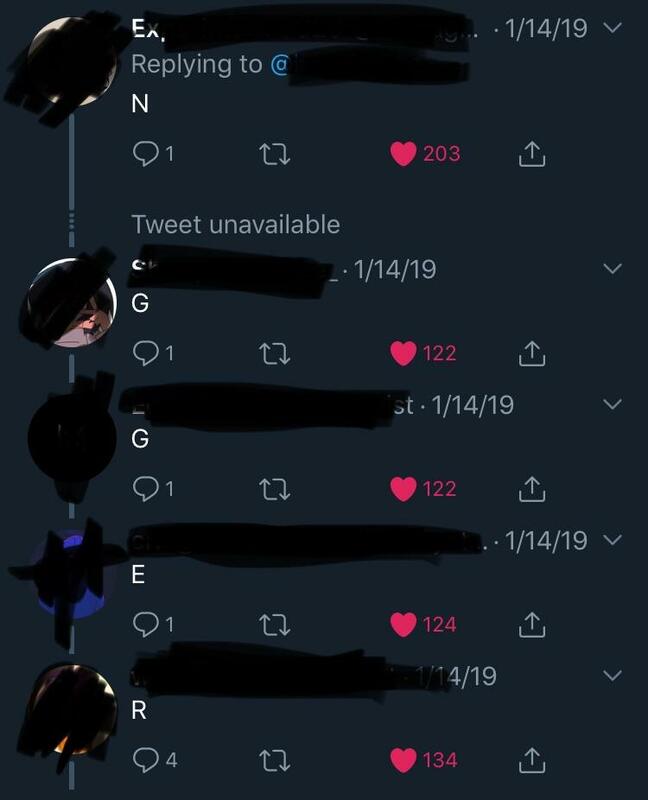 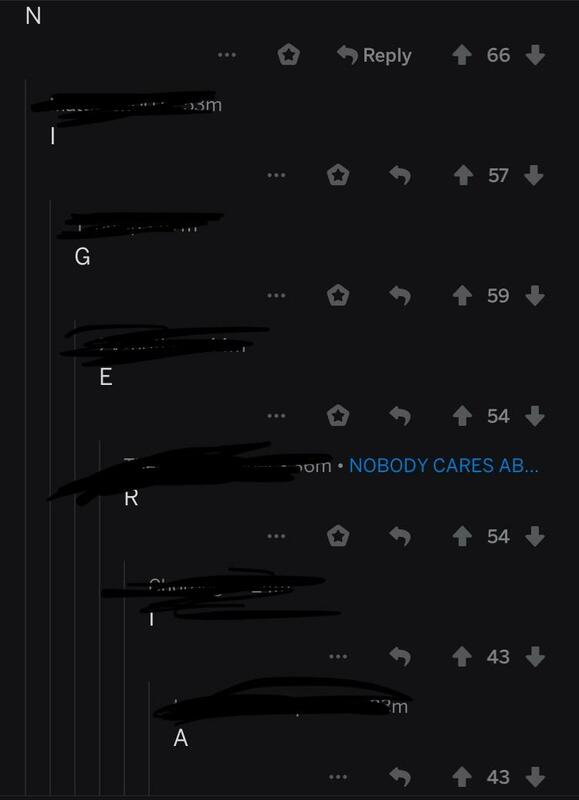 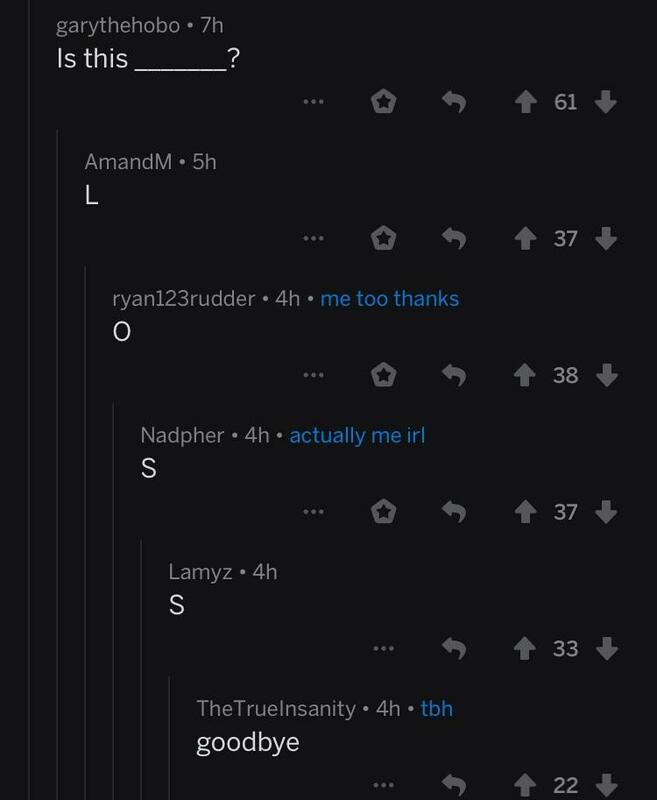 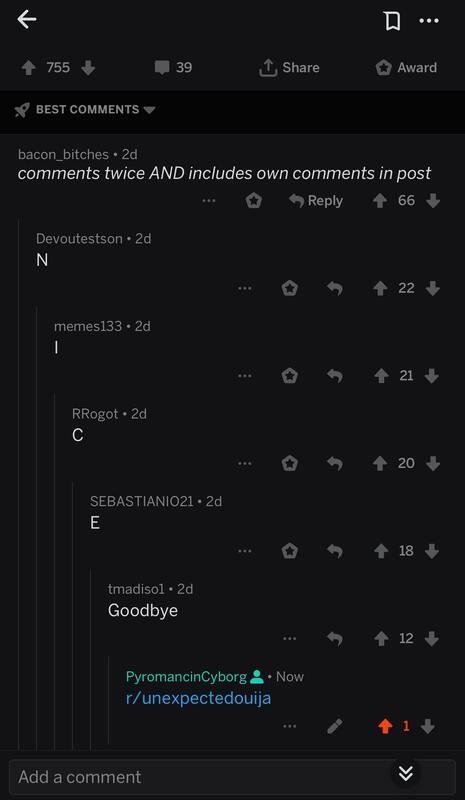 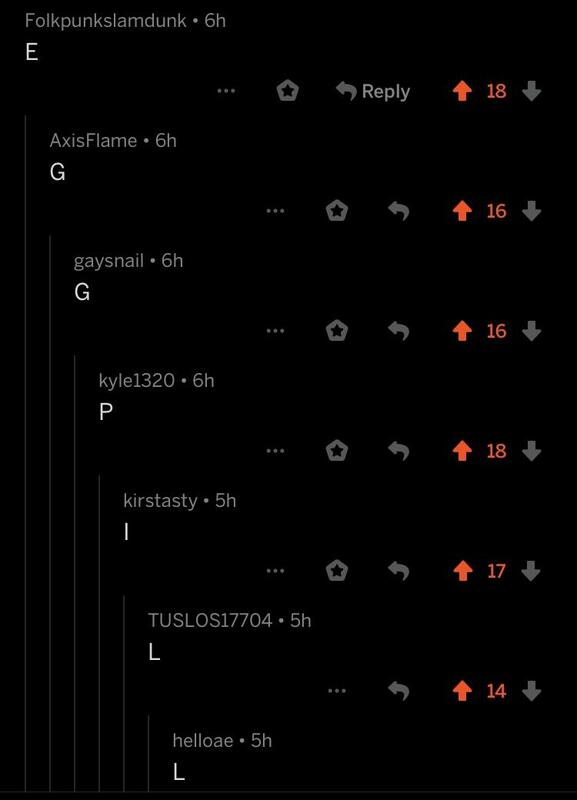 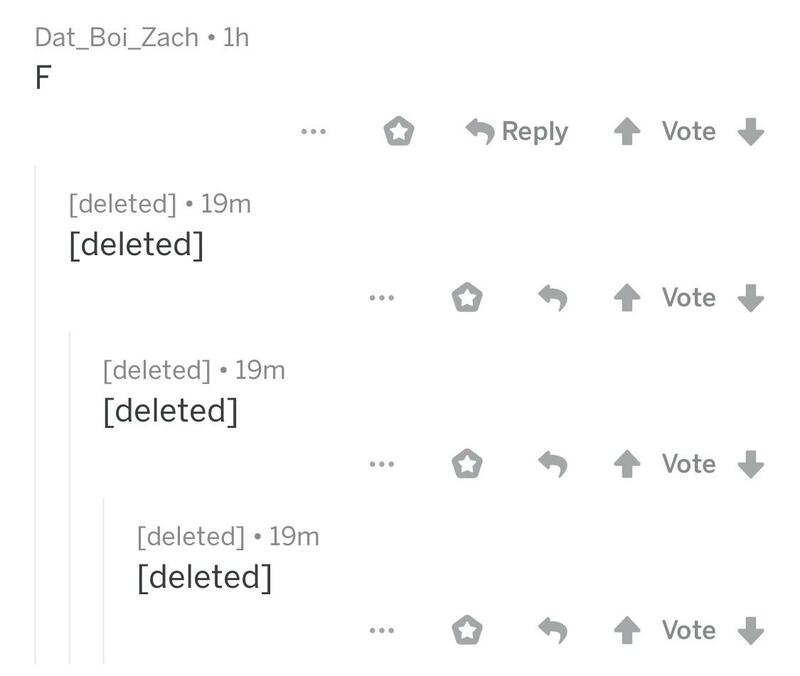 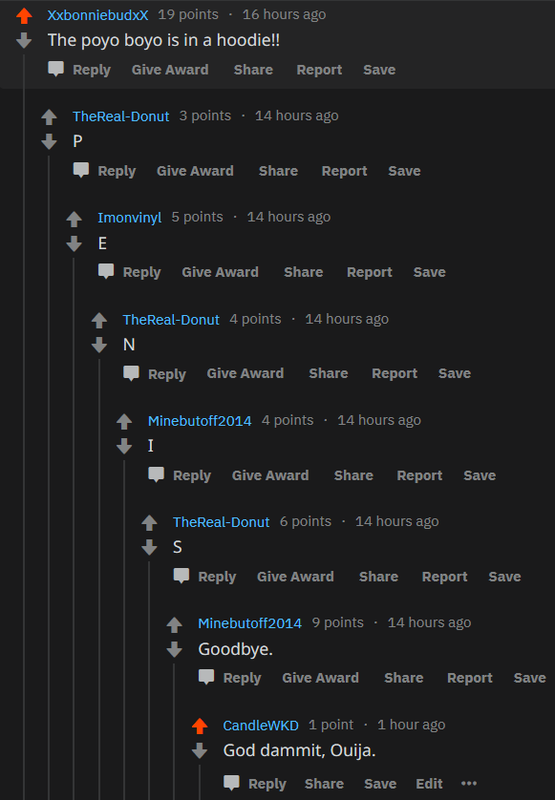 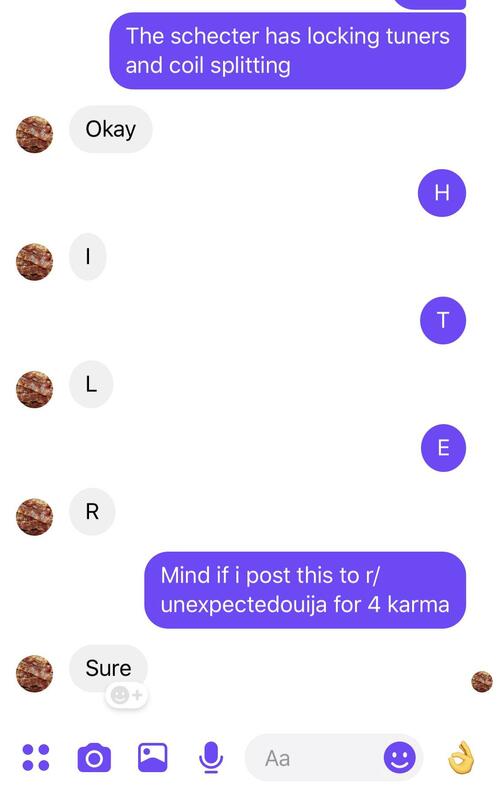 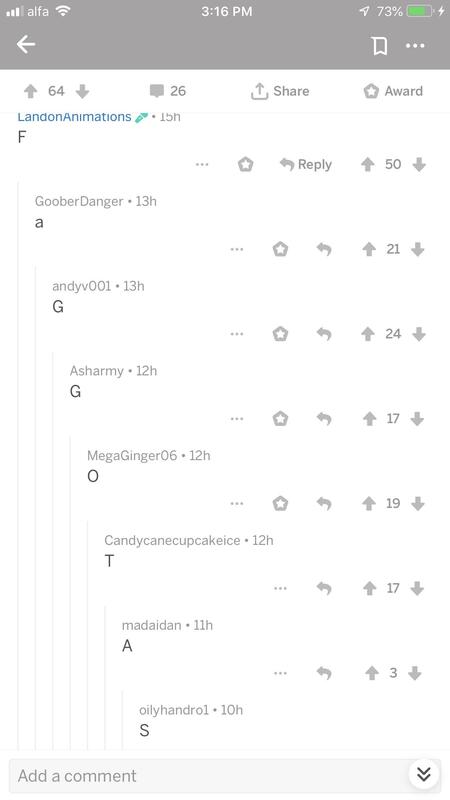 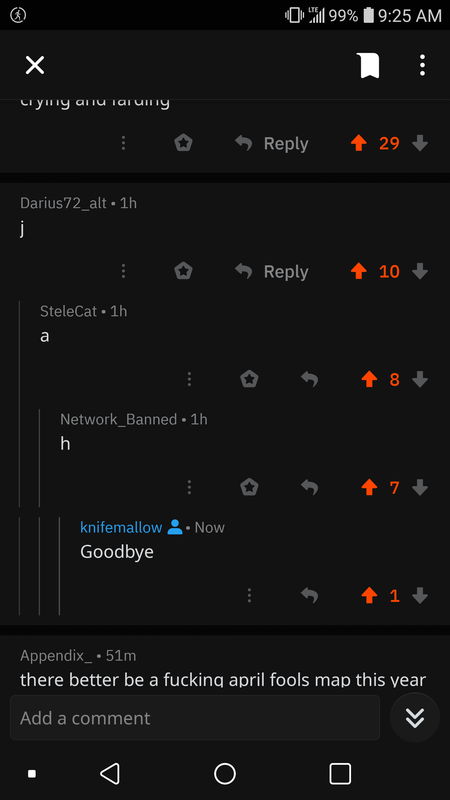 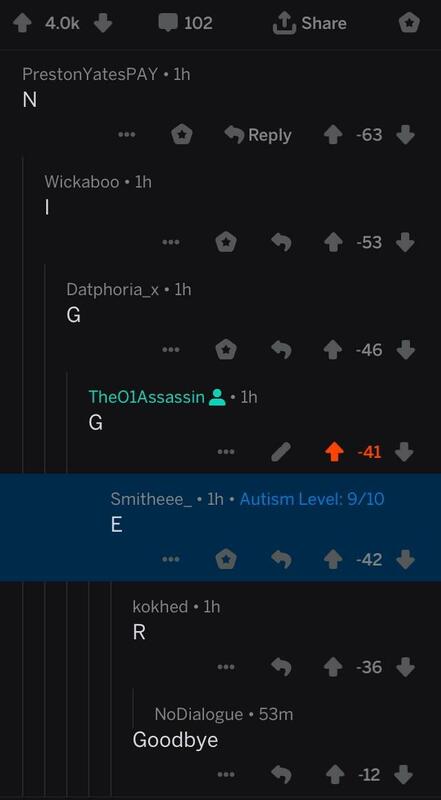 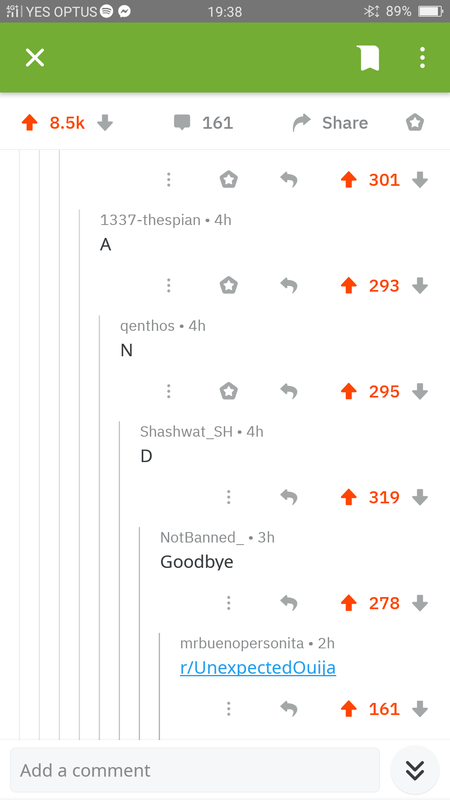 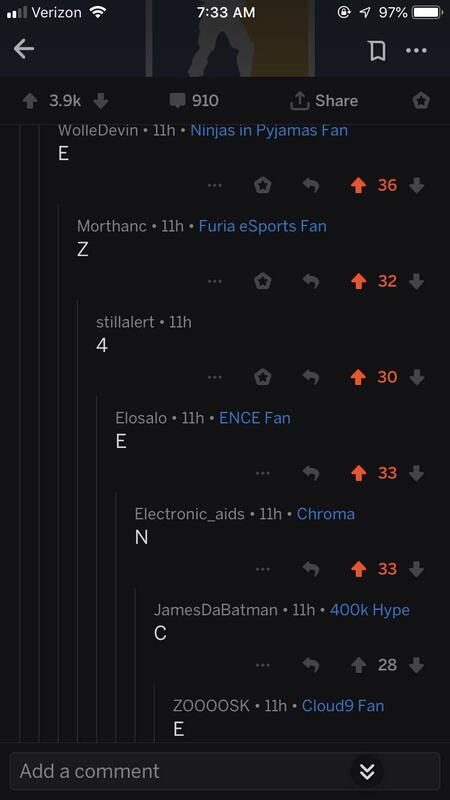 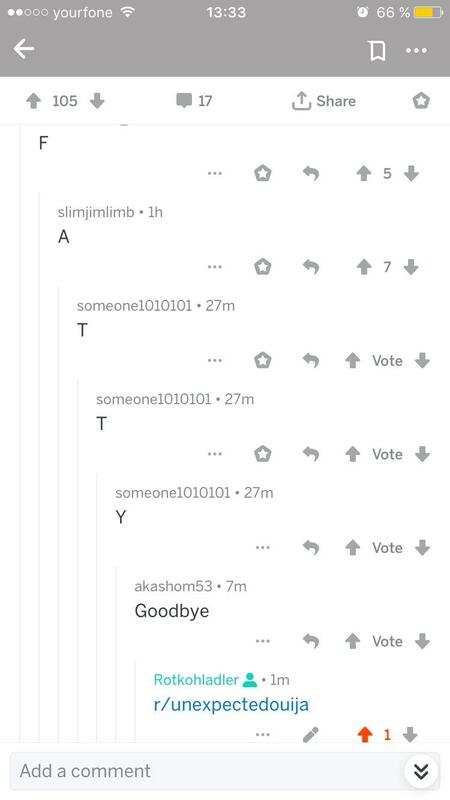 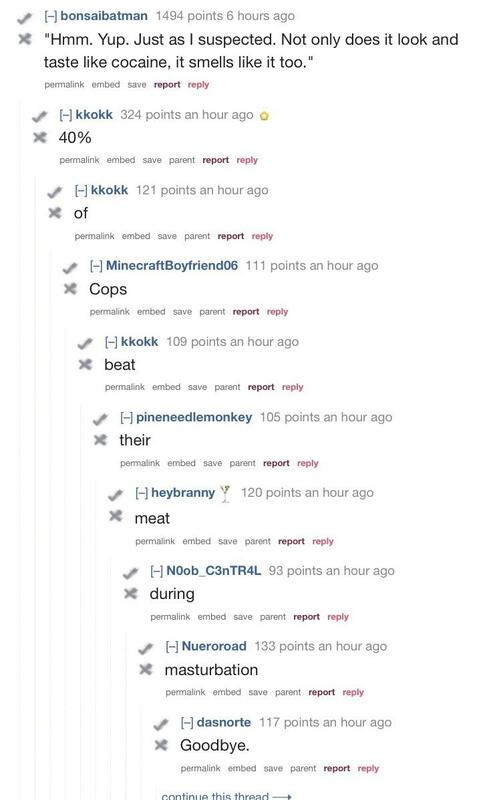 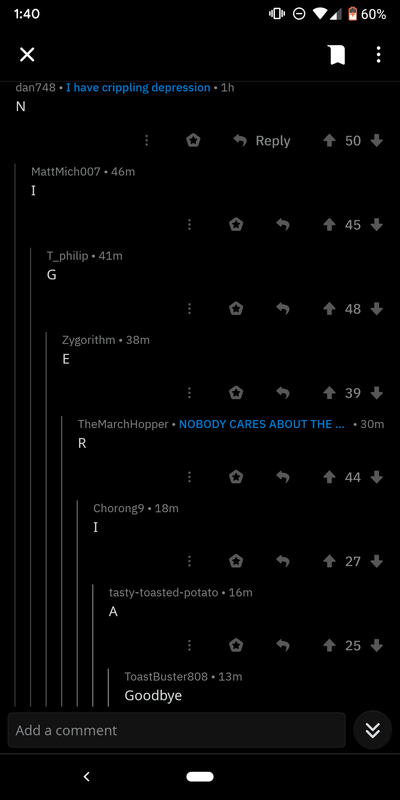 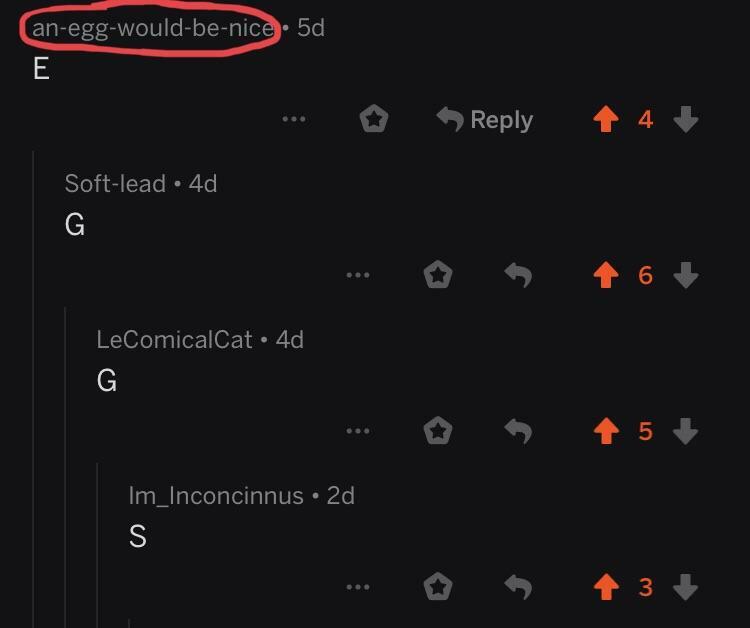 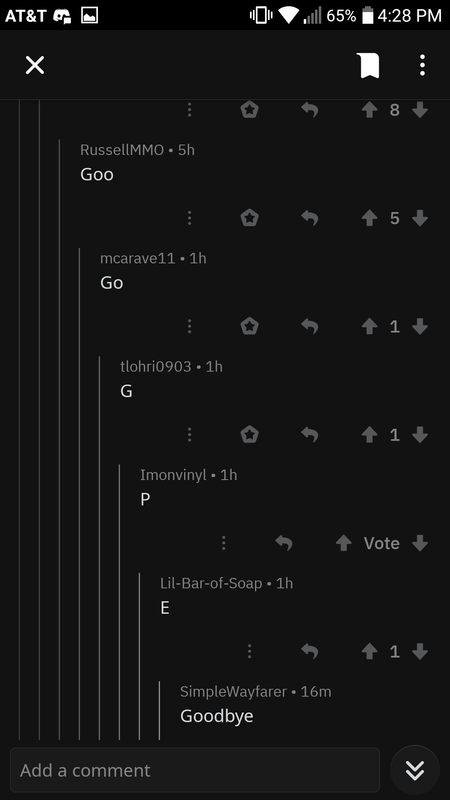 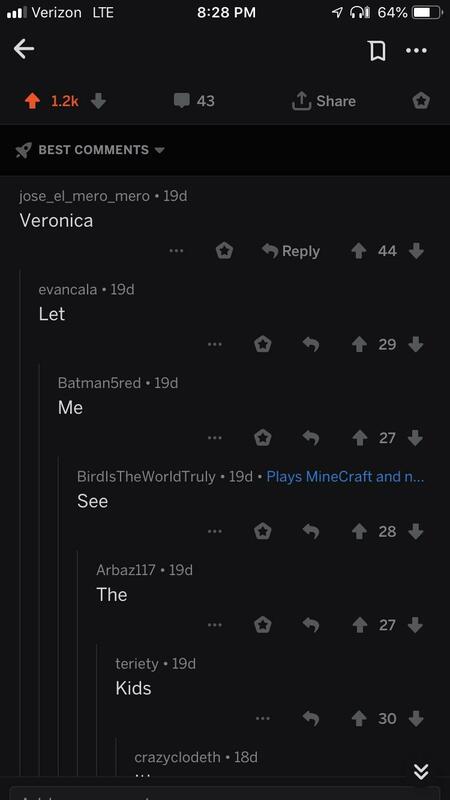 Congratulations, /r/UnexpectedOuija! 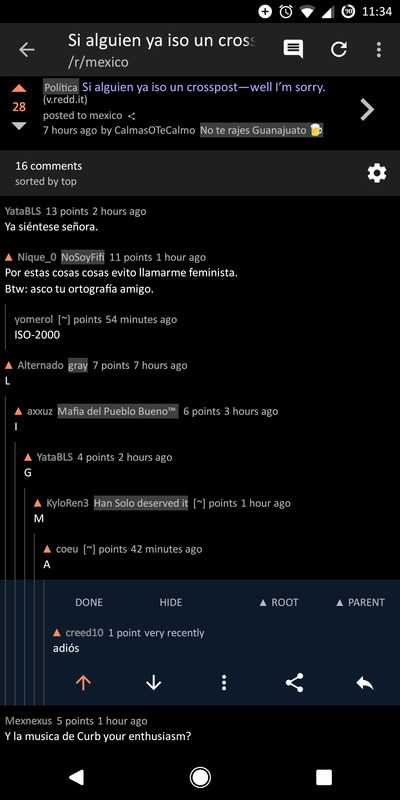 You are subreddit of the day! 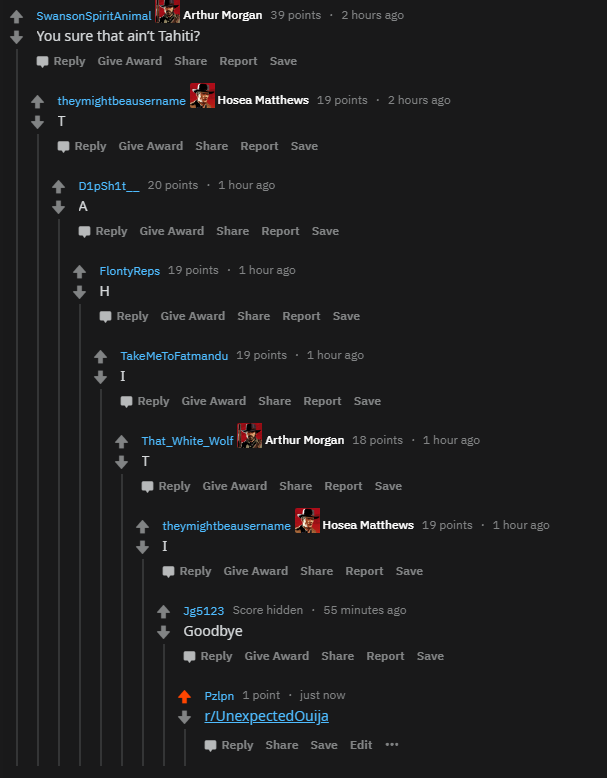 On r/reddeadredemption on a post about Peter Blomquist on an island. 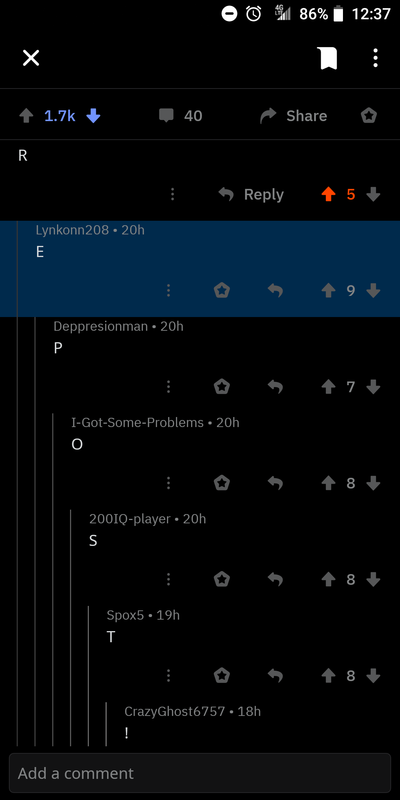 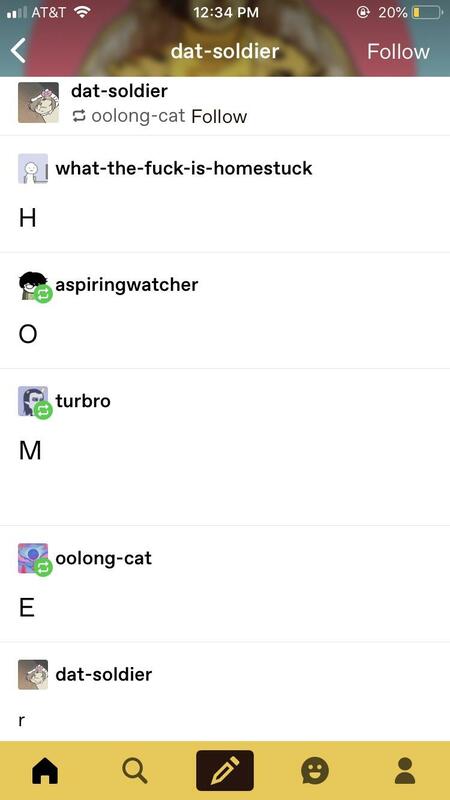 Spirit spoke, and they must be a spirit considering that necropost. 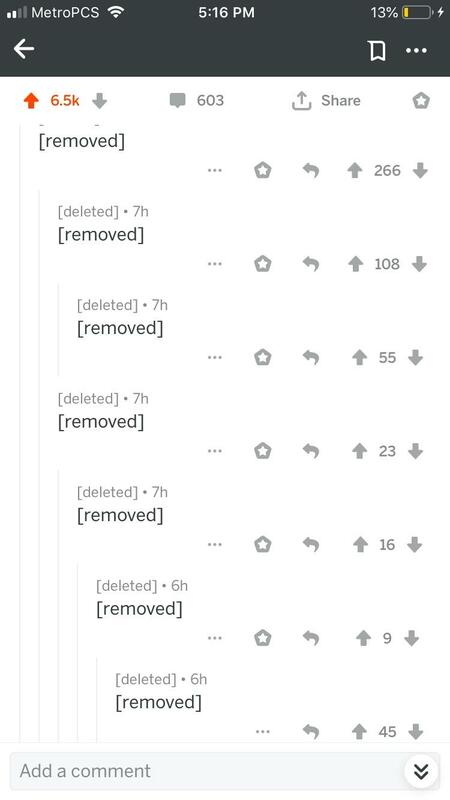 I think we should be able to post links for this reason, as long as it is able to appropriately moderated! 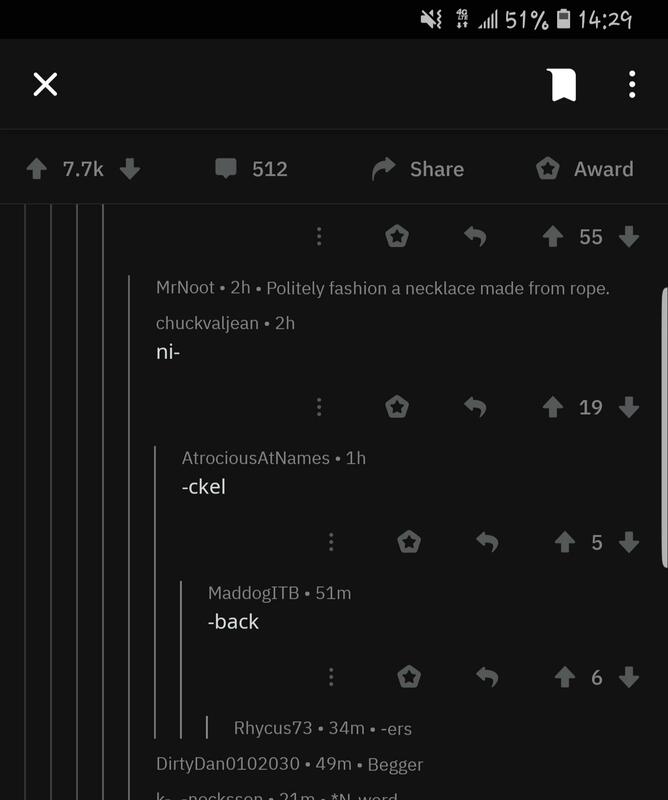 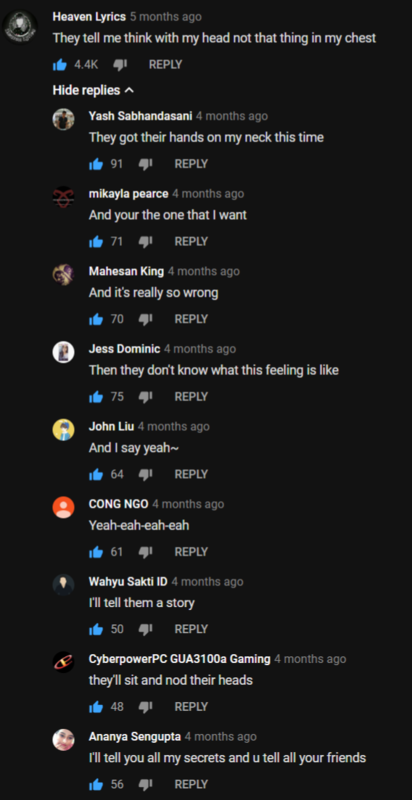 Entire comment section was downvoted. 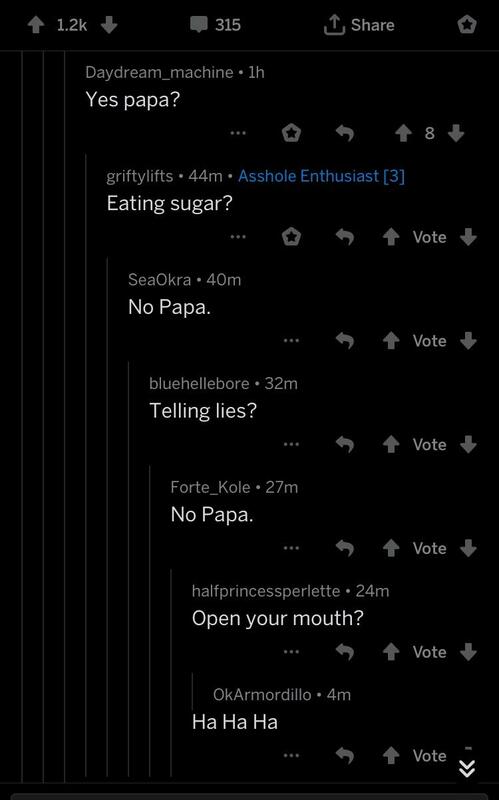 For the last time, his name is Zelda’s Monster! 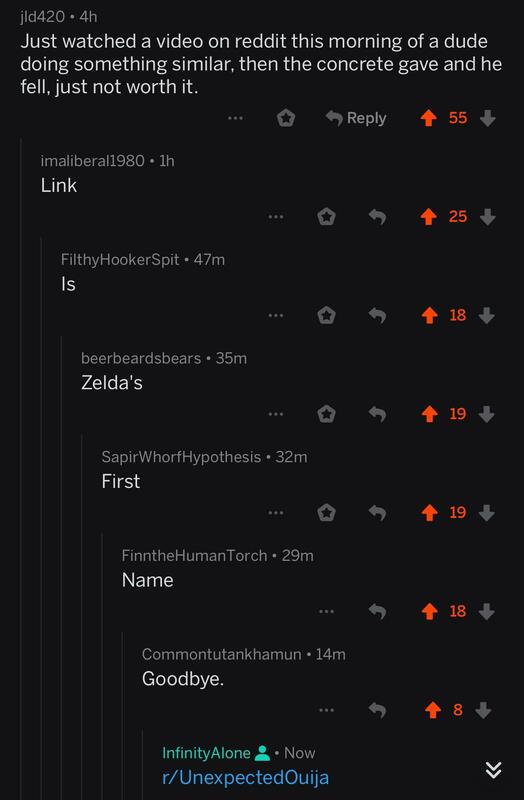 Zelda is the scientist’s name!! 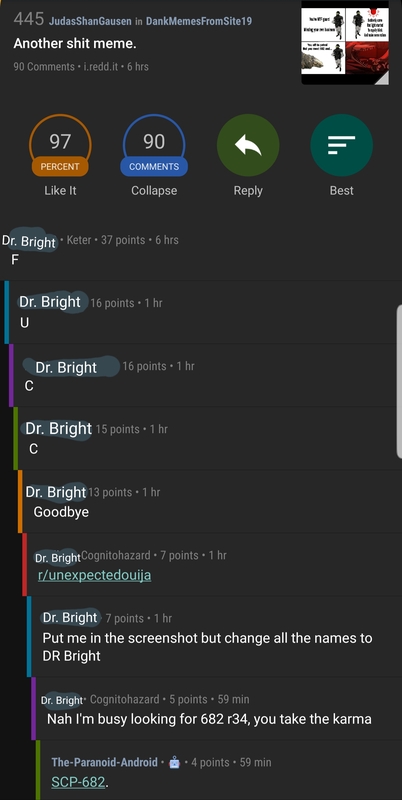 Found on an ask Reddit thread about red flags a marriage wouldn’t last. 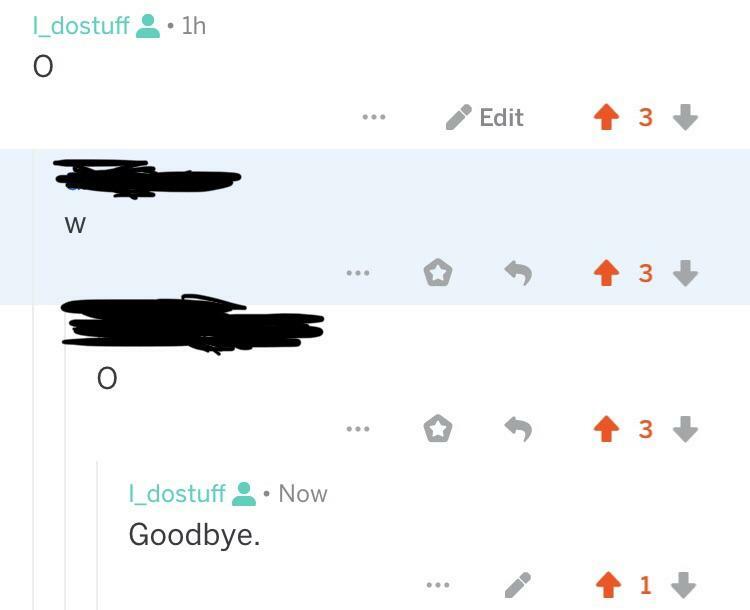 The groom was winking at the wedding photographer.